Yup – another Dragonfly post. 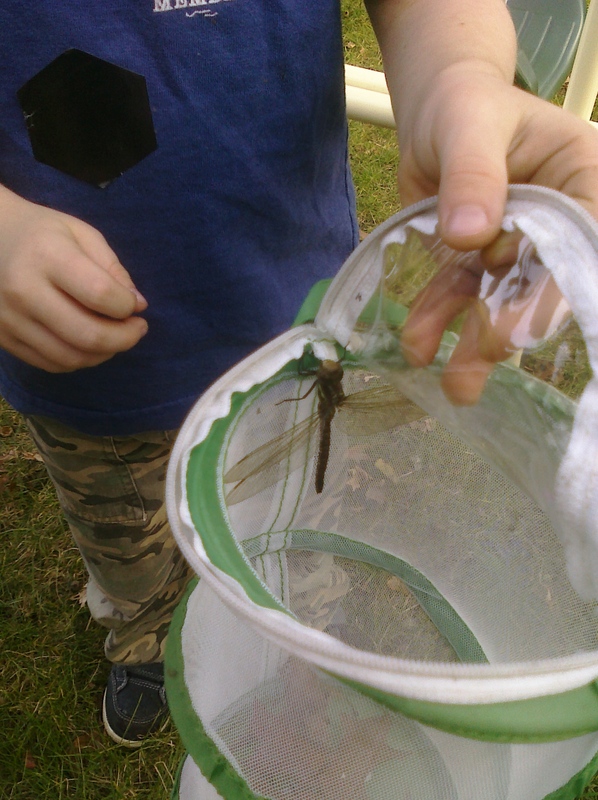 We had a GORGEOUS day today…so out came the grandaddy of all dragonflies. Daddy helped catch it, but Burke’s the one who decided to let it go after a while. And all of that Makes My Monday. Whoa, that is a huge guy! wow!! what a huge dragonfly. I have always been fascinated with dragonflys. So Makes My Monday. Thanks for playing along, Nancy! Oh wow! that is one impressive dragonfly! Very cool! That is a huge one! Wow! And good on him for letting it go.